There is an invite to all local people who want to help Pitmedden Garden, love gardens and want to know more, learn and help in the process. 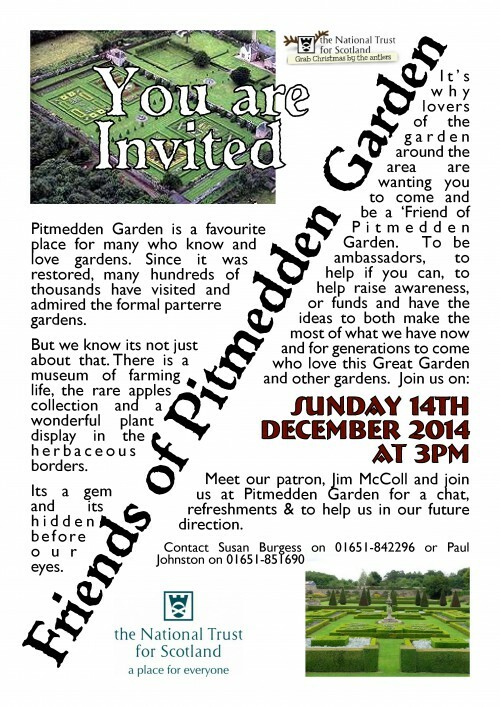 Pitmedden Garden is renowned over the UK and many friends internationally. Come along and hear about the past present and future of the Gardens with Jim McColl of the BBC’s Beechgrove Garden. 3pm on Sunday 14th December 2014.